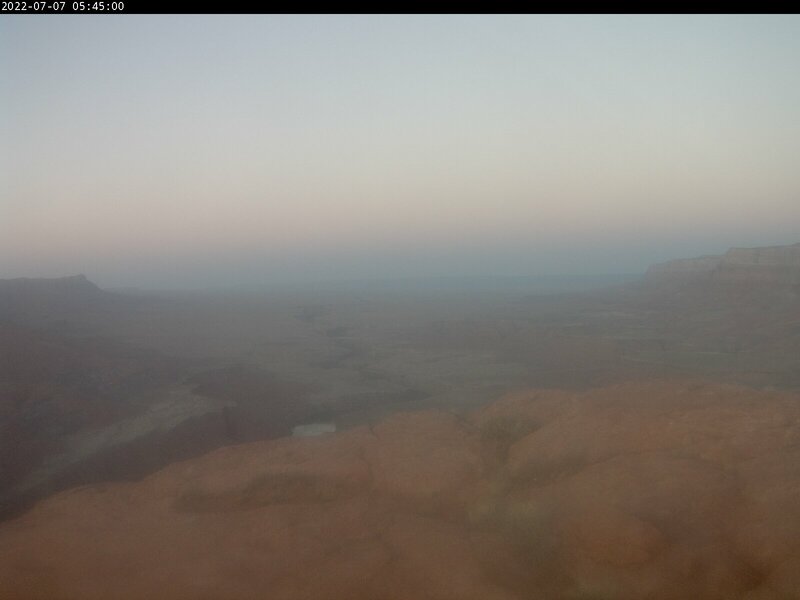 The National Park Service is operating 7 webcams in the Lake Powell area. 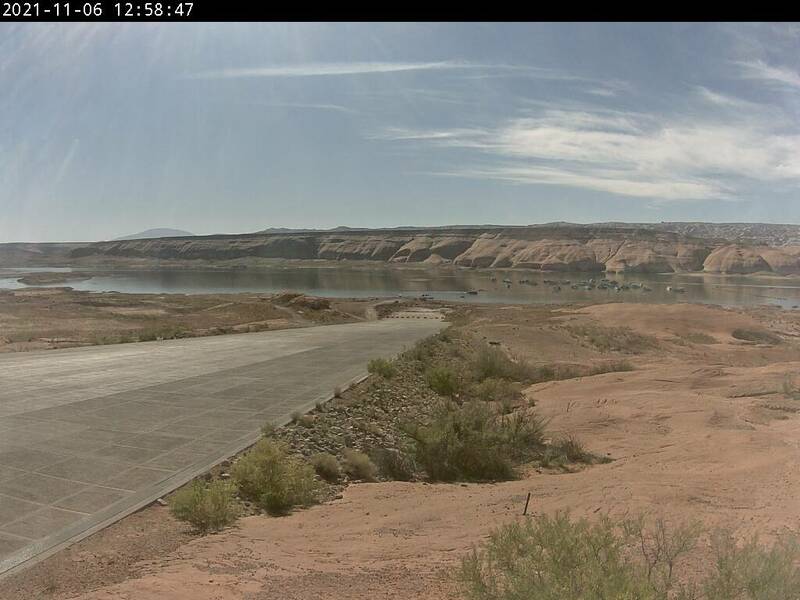 Webcams include Bullfrog Launch Ramp, Dangling Rope Marina, Halls Crossing Launch Ramp, Wahweap Main Launch Ramps, Hite Ranger Station View, and Paria Overlook. These are all Snap Shot webcams and the internet limits that. The update interval is set to 10 minutes. Lake Powell Utah is a reservoir on the Colorado River, straddling the border between Utah and Arizona in the United States. Most of Lake Powell, along with Rainbow Bridge National Monument, is located in Utah. 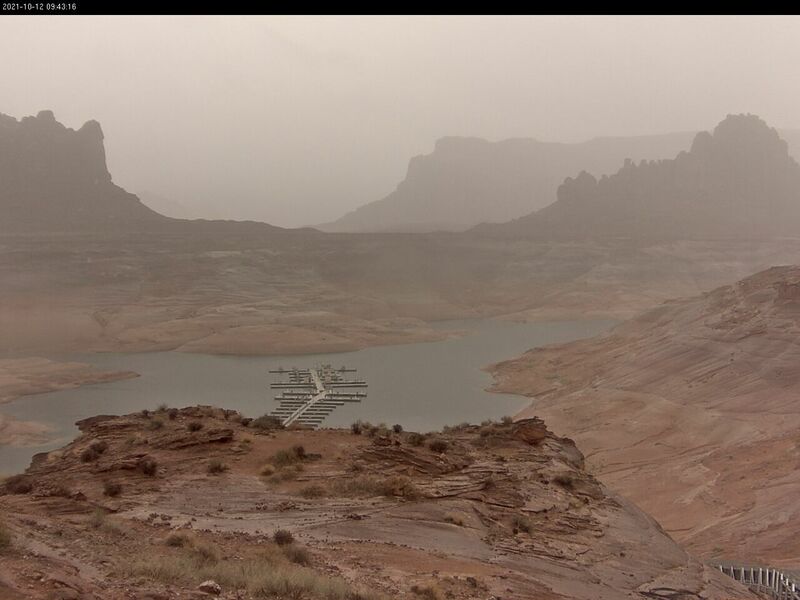 Fishing is popular in Lake Powell catching Small Mouth Bass, Large Mouth Bass, Walleye, Crappie, and Stripper Bass. The entire lake is basically the Upper Grand Canyon blocked to create this giant reservoir. The entire lake is a desert wilderness area open to pulling your boat or houseboat up to camp and explore. Very rich in fossils and spectacular rock formations, arches, and full of archeology sites to find. Visiting there for years myself I can tell you it would take a lifetime to explore the entire lake. Also the lake changes as the water levels change. 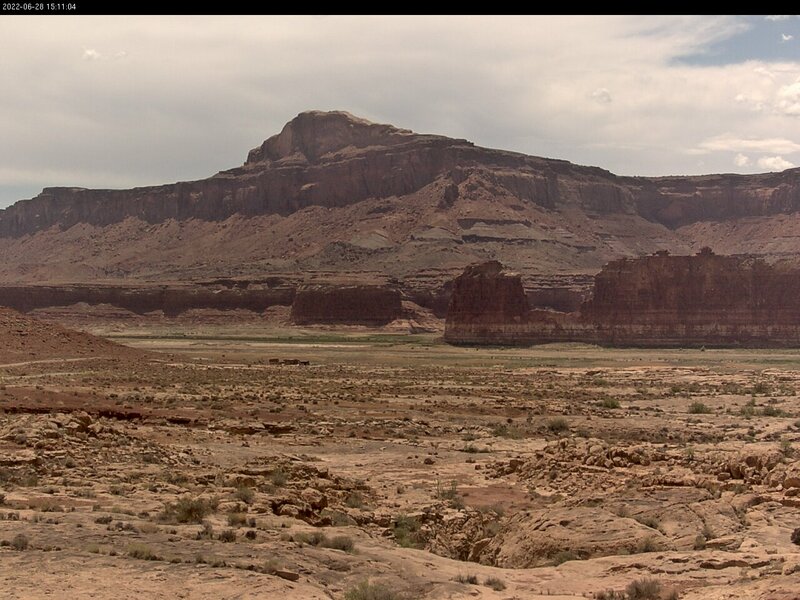 Lake Powell has an elevation: 3,652′. 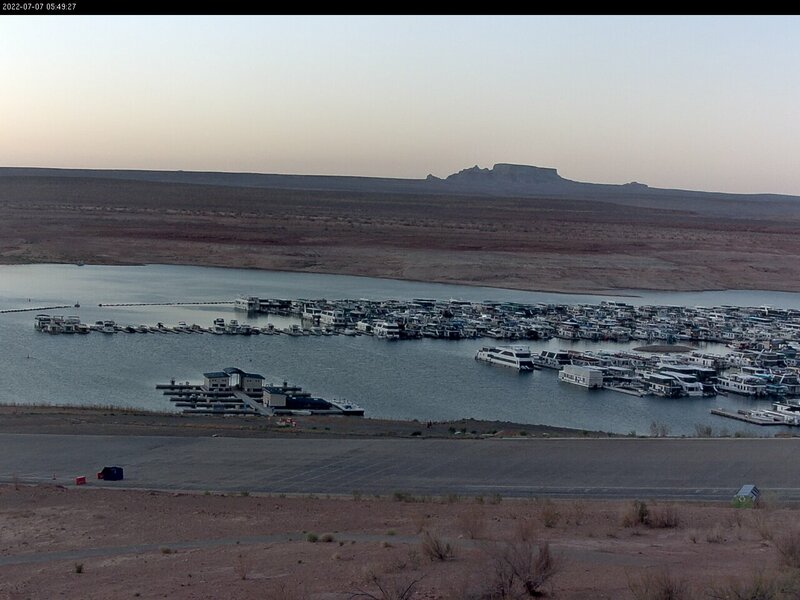 You can rent a houseboat or runabout at most of the major marinas severing Lake Powell for an unforgettable trip. The lake can be tuff weather sometimes, be ready for wind, and hot conditions. Lake Powell was created in 1963 with the creation of the Glen Canyon Dam, and it took 17 years 1980 to fill. In 1869 Civil war veteran Major John Wesley Powell left Green River WY down the Green and Colorado Rivers to map the area. For more about the Parks rich history visit This Link. The water level changes throughout the year and years. 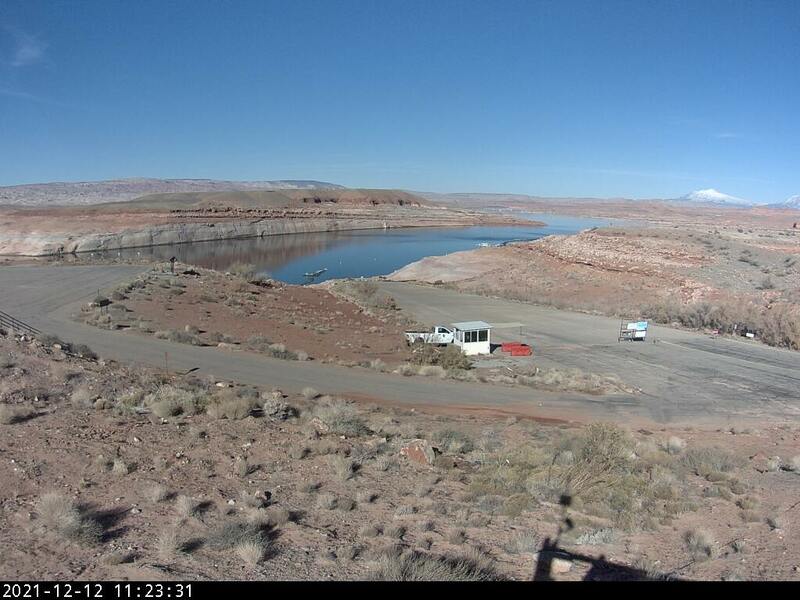 This link provides Water Level Data for Lake Powell. Ambassador Guides and Captain Bill offers Guided Fishing Trips and produces a free Fishing Report Click Here.